This week we had a referral into the clinic from a medical physician . With long-lasting pain in the shoulder of patient X, he was diagnosed with a rotator cuff tendonitis. After doing our own assessment, interestingly enough we found something different. After examining his shoulder, it was perfectly fine in its movement and it fully passed all orthopaedic tests. Although he was feeling pain in his shoulder, it was not originating from there. After examining his neck, we found that the nerves of his neck were irritated and impinging on the nerve that travels to the shoulder. For this man his shoulder pain was coming from his neck! This is known as cervicogenic dorsalgia. 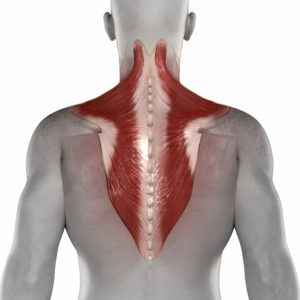 There are many important nerves (see the picture below) that travel from your neck and down into your arm. These nerves can get ‘pinched’ anywhere as it travels down the arm. The challenging (and fun) part for us is finding out where! After a few visits his shoulder pain has been reduced by 50% and he should be good to go in a few more visits!